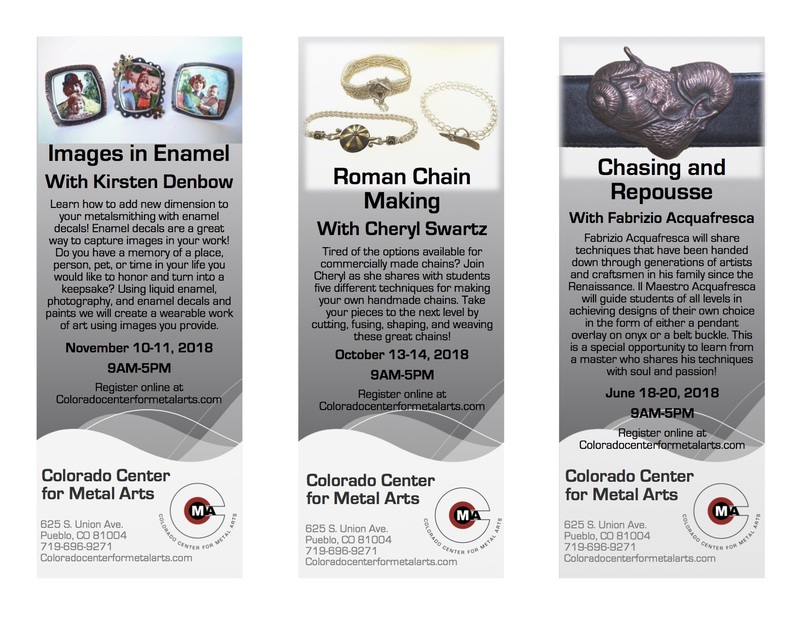 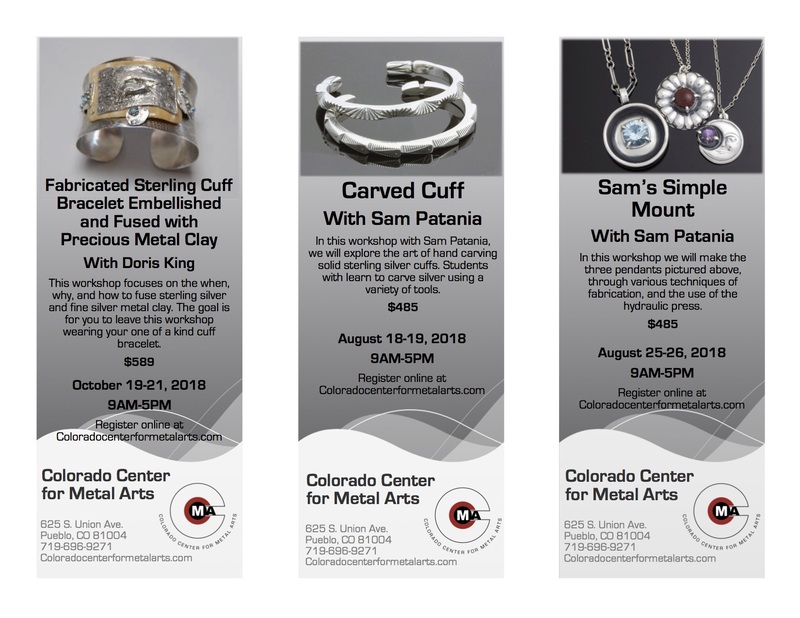 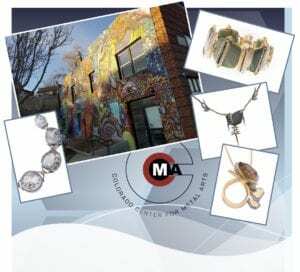 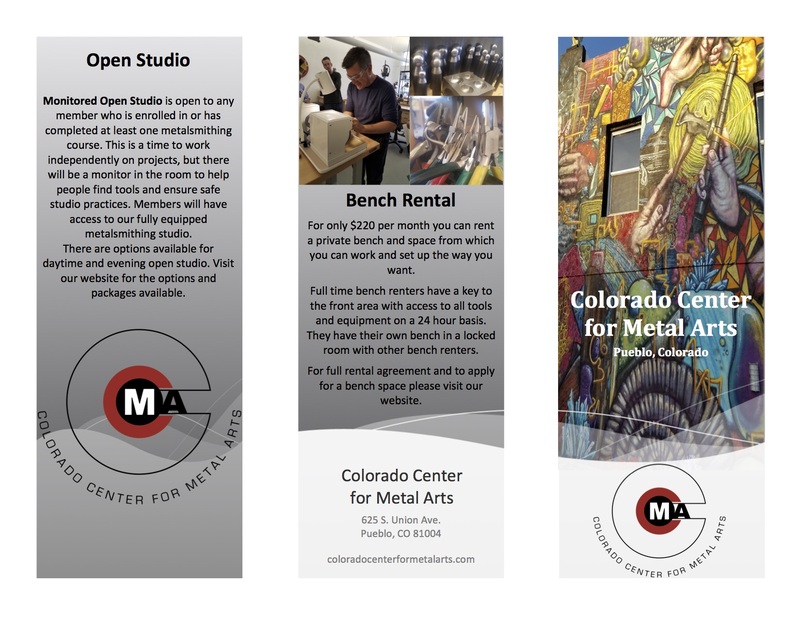 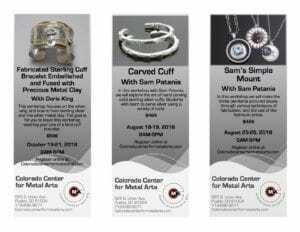 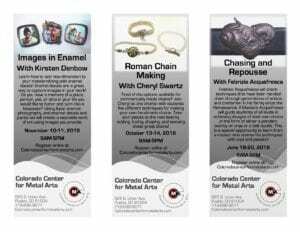 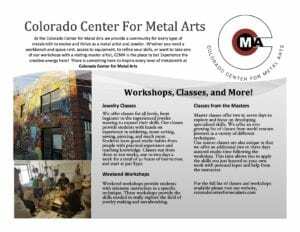 Colorado Center for Metal Arts is located in Pueblo, Colorado and was started by Michael Boyd and Pattie Parkhurst it provides a community for every type of metalsmith to evolve and thrive as a metal artist and jeweler. In addition to our local workshops and classes, we offer classes by world renown masters providing instruction to students at all levels. 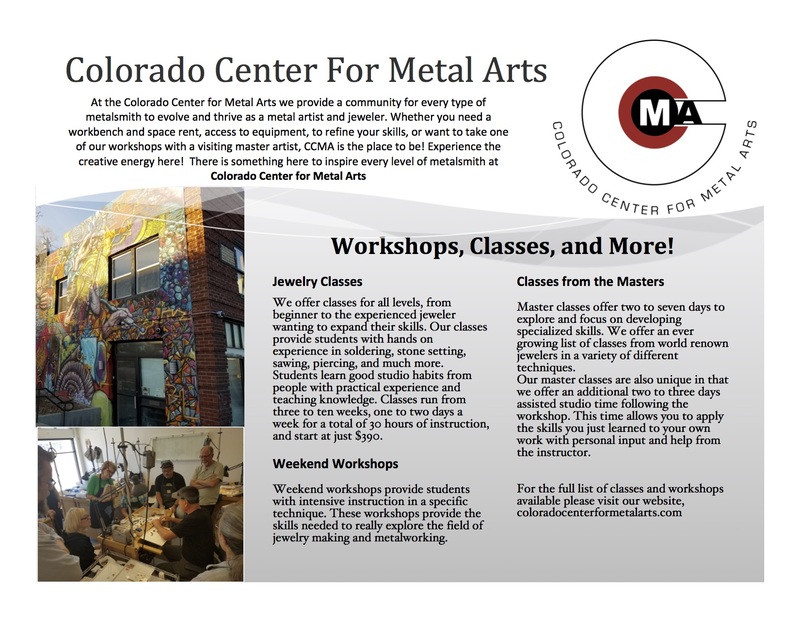 Our fully equipped facility allows students to explore different techniques.